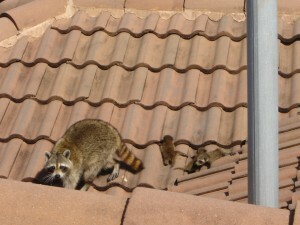 Why Hire Us for Your Raccoon Problem in Palm Beach County? With their bandit masks and ringed tails, raccoons are cute little critters, but don’t let their innocent appearance fool you – they are anything BUT innocent! Raccoons can be a destructive, disease-carrying nuisance if they hang around your home or in your attic. They are excellent climbers (to climb into your attic), they are incredibly strong (to rip a hole in your roof and tear up your attic ducts) and they have very nimble hands (to open your garbage can and make a mess). If you suspect you have a raccoon problem in your home attic or place of business, call Wildlife Removal Services, Inc for raccoon removal in the surrounding communities of Boca Raton, including Broward County and Palm Beach County. 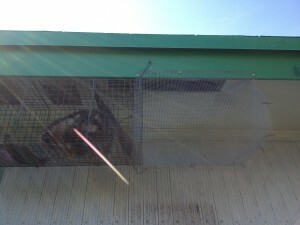 We specialize in humanely trapping and removing raccoons and repairing the damage that they cause. As a full-service wildlife removal company serving Palm Beach County and Broward County in South Florida, Wildlife Removal Services will inspect your home or property for any and all visible signs of a raccoon infestation. We will determine why the raccoons are there and how they got inside. Once we find and seal all the possible points of entry, we will trap and remove the raccoons. 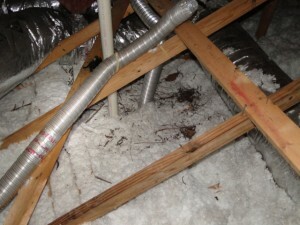 After they have been relocated, we will perform any necessary cleanup and attic restoration. 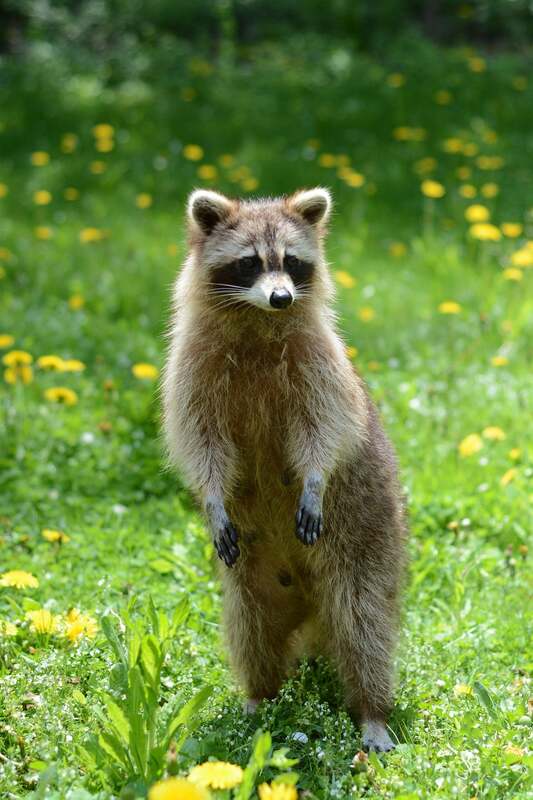 Call Wildlife Removal Services today at (561)212-9255 to discuss raccoon control in the Boca Raton area in southeast Florida and schedule an inspection. Raccoons are commonly seen throughout South Florida. Typically weighing from 7 to 20 pounds, they are approximately the size of a domestic cat. They have five toes with short, curved claws on their feet and hands, which enable them to climb and manipulate objects with ease. They also have an innate ability to see in the dark, which is why you might frequently see them scavenging at night. Raccoons mate for about three months in the spring and early summer, with females giving birth to a litter of three to five kits. This is the time we frequently receive calls from homeowners about seeing or hearing raccoons in the attic, as female raccoons will often seek out attics as a safe place to give birth and raise their young. While they used to live primarily in wooded areas, raccoons now tend to make their homes near rich food sources such as populated urban areas. Because so many people make the mistake of feeding raccoons when they see them, raccoons then associate humans with food. While they naturally feast on insects, fish, amphibians, berries, fruit, and nuts, raccoons will eat anything humans eat. That’s why you might see them rummaging through your garbage cans or ravaging your garden. They will also eat any pet food you might leave out overnight, which can attract other nuisance wildlife as well, such as rats and opossums. Raccoons will typically take up residence in your attic (especially pregnant or lactating females), your garage or underneath sheds. Raccoons are highly intelligent and boast impressive long-term memories. They can remember where food is located or how to open containers for up to three years! Unfortunately, this means they are likely to keep coming around as long as there is a food supply to be had. Tipped over garbage cans with trash strewn around might be icky and inconvenient to clean up, but the damage you should be concerned about happens in the attic. Raccoons can soil insulation with their feces and destroy air and heating ducts, electrical wires and even plumbing pipe insulation. Aside from damage, raccoons carry rabies, which is yet another reason why you should NEVER feed them or have any contact with them. In fact, 65% of animal rabies cases in Florida are the result of contact with or bites from raccoons. This critter also carries intestinal parasites and leptospirosis, a severe bacterial infection that can cause kidney damage, liver failure and meningitis in humans and pets. Evicting raccoons from a home or business in Boca Raton and southeastern Florida is risky unless you are a well-trained, experienced wildlife and raccoon removal trapper. These animals become very aggressive when cornered, especially mothers with babies. A scratch or bite could require a number of expensive shots as a precaution against rabies. 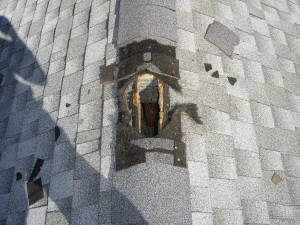 That’s why it’s a good idea to let the raccoon removal experts in Boca Raton at WRS handle your raccoon problem. 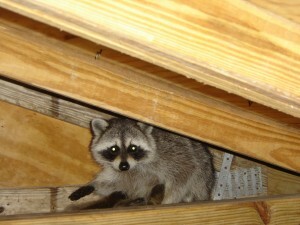 If you have raccoons in the attic (especially during the mating season months), it is probably a mother with babies. This scenario really requires the expertise of a professional. First, a WRS raccoon removal expert verifies the animals’ main entrance to the attic as well as all other potential pathways. After repairing all weak areas of the structure, but leaving a way to get in and out, the trapper can determine which tactic is best. The most efficient way is to chase the adult out of the attic and quickly seal that opening behind it.Then the trapper can remove the young without being attacked by an angry mother. If babies are removed, they may be used as bait to trap a mother raccoon outside the structure. She may or may not go into the trap, but she must see that her babies have been rescued. Otherwise maternal instinct will drive her back into the attic in search of her family, creating more damage. Once we have the mother and her litter, we will relocate them far away from your home and everyone can live happily ever after! 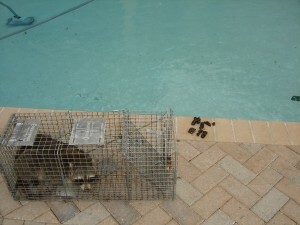 Other raccoon removal techniques from our Boca Raton area trappers may be necessary and could involve using predatory animal scent in the nesting areas or a trap screened and attached to the exit opening, just outside the structure. Any time traps are part of the process, they must be checked at least daily, especially in hot weather. Only on rare occasions, when outdoor trapping doesn’t work, will WRS use traps inside the attic. After raccoons have been removed and the last opening sealed, WRS accesses the damage created by these destructive animals. After the raccoons have been evicted from your attic, you will need to clean up after them. 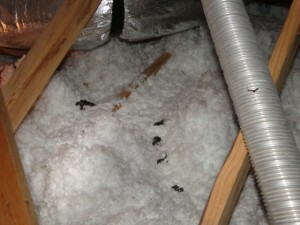 Raccoons can leave behind a lot of waste, which can cause significant contamination and health risk to attic spaces. But who wants to subject themselves to this biohazardous mess? The main concern is that they leave behind large amounts of unsanitary droppings with the risk of transmitting leptospirosis or Salmonella. Leave it to us. Wildlife Removal Services will thoroughly clean all feces by hand and vacuum, then decontaminate your attic using an environmentally-friendly, biodegradable and non-toxic solution that destroys any last traces of the waste, germs, and odors left behind. If you’re hesitant to bother due to the costs, check with your homeowner’s insurance company. They may cover the cost of full attic cleanup and restoration, including the replacement of insulation with the new energy-saving kind. 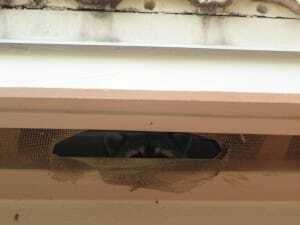 The best way to prevent raccoons from entering your home or business is to seal up all possible entry points. To keep them off your property, your best bet is to make it unattractive for them. Keep garbage cans locked up in a shed or garage (make sure these cannot be broken into) and put them out on the day of pickup (not the night before!). Do not leave bowls of pet food or scraps outside. Use a motion-activated sprinkler system to scare them off. Use a repellant such as Shake Away coyote urine. It’s organic, chemical-free and completely safe to use around people, pets, plants and grass. 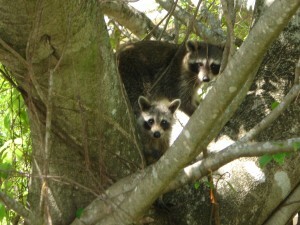 Why Hire Wildlife Removal Services for Raccoon Control in Boca Raton and Palm Beach County? For complete raccoon removal in Boca Raton and the rest of southeast Florida, call Wildlife Removal Services (561)212-9255. We have years of experience catching raccoons in the yards, homes, attics and businesses throughout Palm Beach and Broward County in South Florida. We will inspect your house or building for entry points and seal them with foam or a wire mesh that raccoons can’t chew or claw through. Inside or out, we can find their trail and capture them in just a few days. We will humanely trap them and release them back into the wild. If the raccoons were in your attic, we will also clean up after them, decontaminating your attic with a non-toxic solution. Wildlife Removal Services is fully licensed and insured, and we offer 24/7 service for residential and commercial customers. Call us today for a FREE no obligation estimate or submit the contact form. We’ll come to your home or office in Broward County, Palm Beach County, or Boca Raton and create a raccoon control plan to solve your problem. We always guarantee our work and have very fair pricing. We operate 24 hours a day, 7 days a week, 365 days a year!